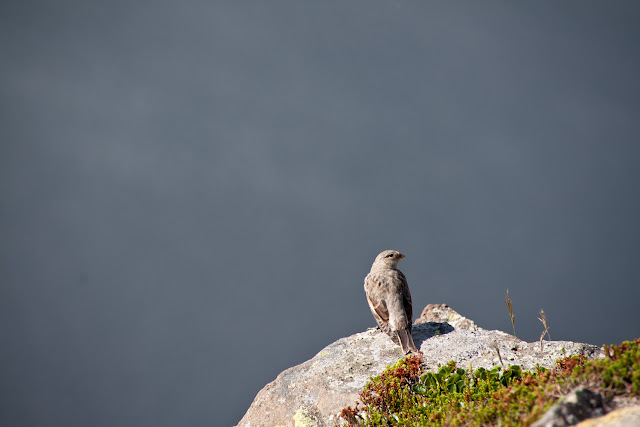 We were hiking up the Hornbjarg Cliff in Hornvík when I spotted this bird underneath us on the cliff. Beyond that you can see the arctic ocean. The tip of the Hornbjarg is just 17 km from the arctic circle. Really not the place everybody choses for a camping vacation. Does anyone know what kind of bird this is? I am not good about all types of birds. Some I know about but this one - there was a whole group of them around - is a stranger to me.